A day out in Hampi can really seem surreal. Sun baked stone boulders heaped precariously along lush green paddy fields and banana orchards provide a near ideal setting for 500 hundred year old stunning stone monuments lined up everywhere in this ancient city. Considering the popularity of this place in recent times, there are enough trails marked out for a regular tourist. However, beyond the realms of a regular guidebook, there are places which would interest a curious traveller. And goMowgli’s Girmit with mirchi Pass, which is an offbeat day tour around Hampi, is the perfect way to explore all of that. Given the landscape, it is easy to visualize that humans have lived on this land for thousands of years. The granite boulders and the rocky hills result in innumerable natural caves, the ideal habitat for a weather weary caveman. Apart from living in these caves, these ancient humans also decorated their primitive homes with intricate paintings like these. 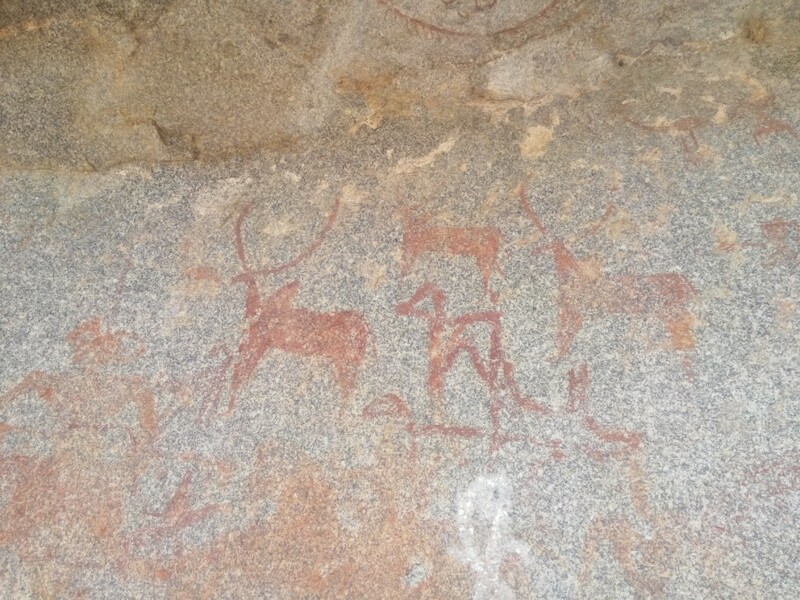 These paintings are anywhere from 10,000 years to 50,000 years old and are found everywhere in and around Hampi. You just need to know where to find them. Or you get on a day tour with goMowgli. Hampi abounds with prehistoric rock paintings everywhere. You just need to know where to find them. 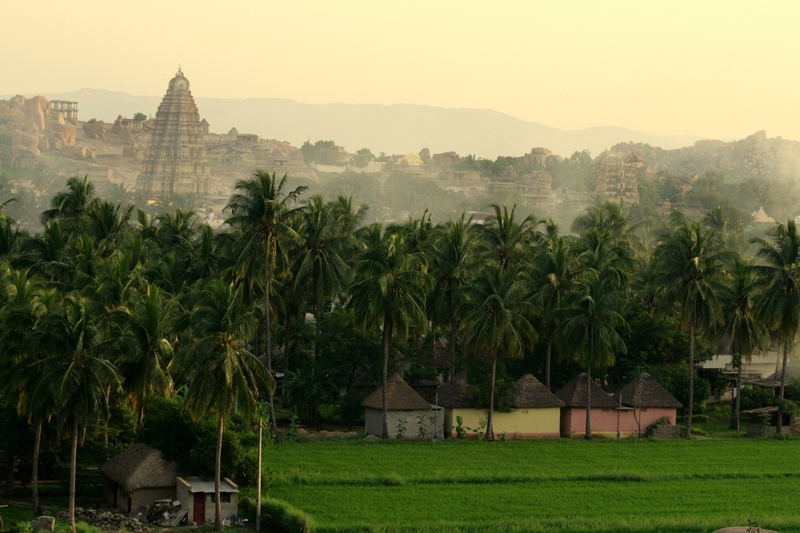 Hampi also provides the stage setting for one of India’s most mythical stories – The Ramayana. This is the land where Rama, the protagonist, meets with a Monkey King called Sugriva and raises an army of monkeys to defeat Ravana, the Sri Lankan Demon who had kidnapped Rama’s wife. And this is the very same place, where one of India’s most mischievous gods was born – Hanuman. Hanuman became a devoted servant of Rama, and is highly revered all around India. But, he is ubiquitous around Hampi – Names of people, shops as well as his imagery are everywhere! Considering the importance of Ramayana in the psyche of most Indians, Hampi abounds with legends from Ramayana. First up, there is the Monkey Temple, where Hanuman is believed to have been born. And it makes a great spot to watch the sun set in the evening. For something more amusing, you can visit the Sugriva Cave, where Sugriva was believed to have been exciled by his brother Vali. And then there is a Vali cave too, where Vali inside to kill a demon and was accidently locked inside. It is also said that after Vali was killed by Rama, his ashes were scattered at a particular place, the result of which the soil is black to this day. Honestly, there are enough legends from Ramayana here that can get you hooked to Indian mythology. 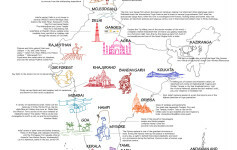 If you ask us, you can spend days together travelling around Hampi searching for these magical stories. But wait, we have not even gotten started about the iconic monuments yet. The Virupaksha Temple is a crowd favourite but we absolutely love this stone chariot inside the Vitthala Temple complex. 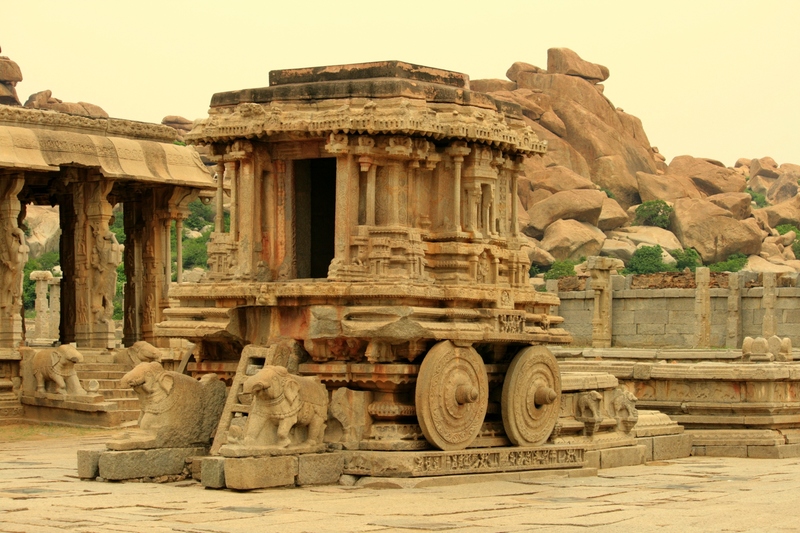 You cannot come to Hampi and not take a photo of the stone chariot. A selfie is even better. Hampi was the capital of the Vijayanagara Empire, the lords of a large part of Southern India 500 years ago. 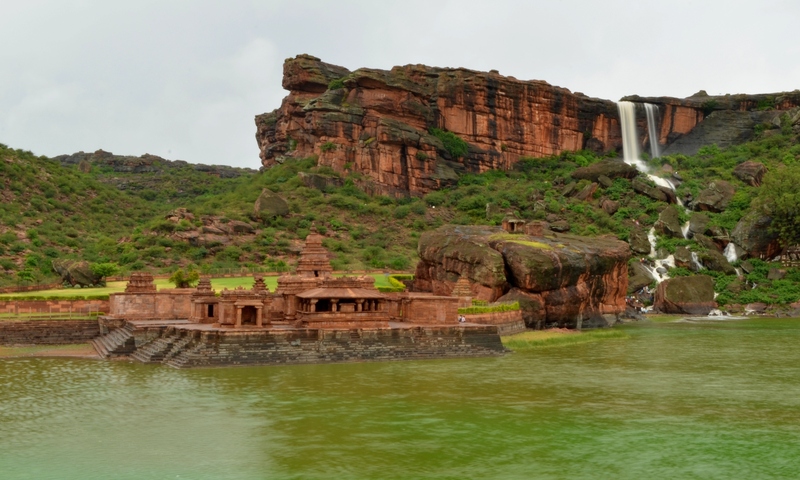 And they built some stunning stone structure, most of which were destroyed after the ‘Battle of Talikota’ in 1565. But a few structures remain, which inspire awe even to this day. And most of them are well documented in the guide books. 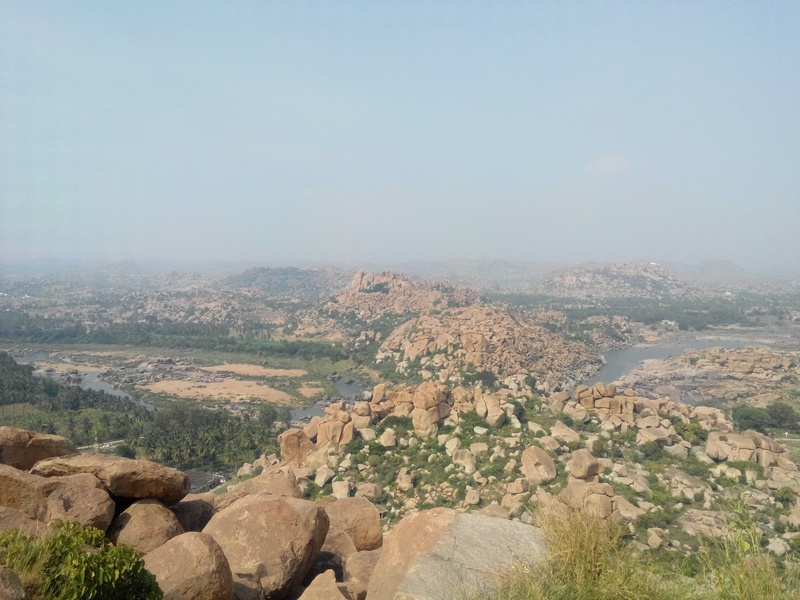 However, what nobody tells you about Hampi are the hidden rock carvings in boulders and crevices everywhere. On a day tour around Hampi with goMowgli, these are some of the stunning rock carvings you encounter, especially when you least expect them. 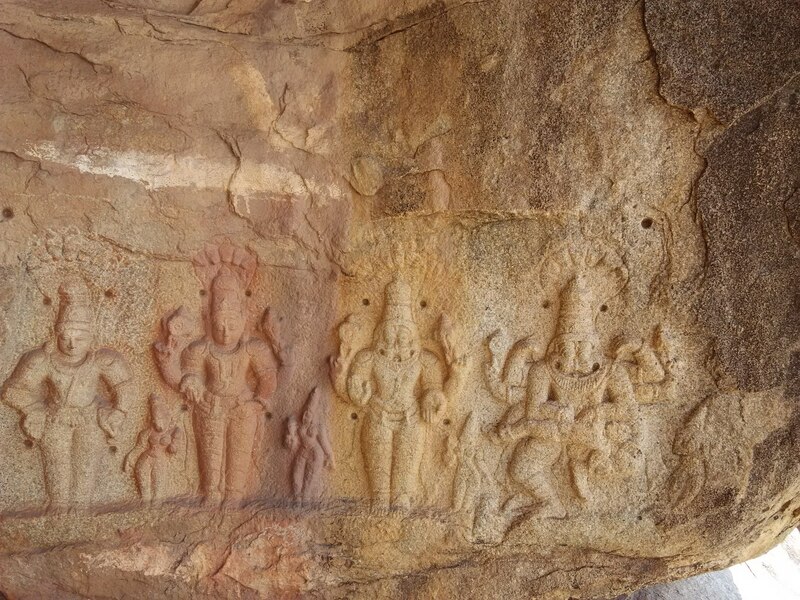 Look for these type of rock carvings the next time you encounter a cave somewhere in Hampi. Chances are you will find one. As you can imagine, the Vijayanagara Kings absolutely loved the Narasimha – the half lion half human avatar of Vishnu. And they loved Shiva too, for they also built the Koti Linga (A Crore Lingas, though there are only 1008 of them there). Sanapur Lake, quenches every travellers’ thirst! After a day out walking around Hampi, there is a great place to relax. 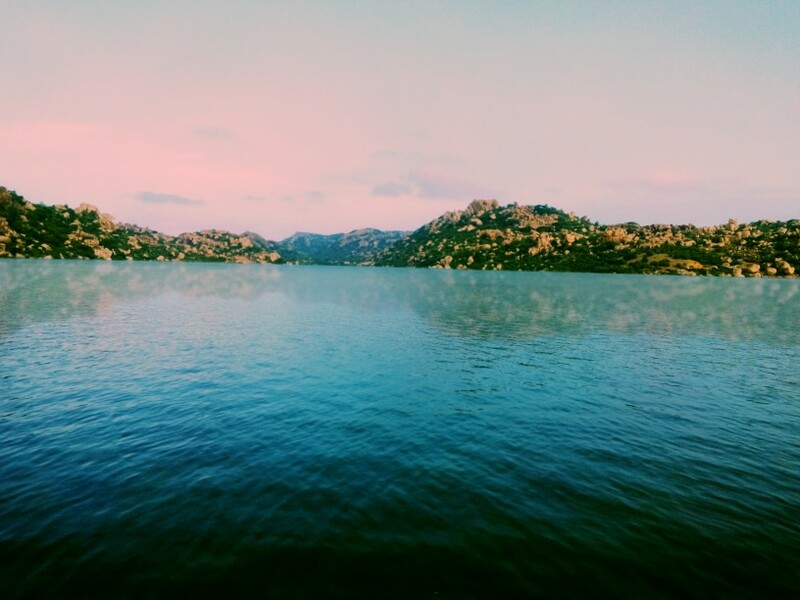 And that is the Sanapur Lake, about 5 Kms from Hampi, on the other side of the river. A swim in those waters with a sunset to boot like this is absolutely priceless, we think. 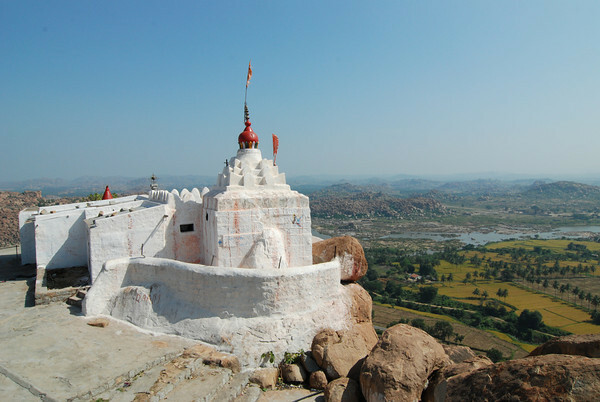 These are just some of the offbeat places we go to, on our Hampi Day Tour. We promise there are more hidden carvings and lot of new stories everywhere we take you. To book a tour with goMowgli, you can visit our site here. 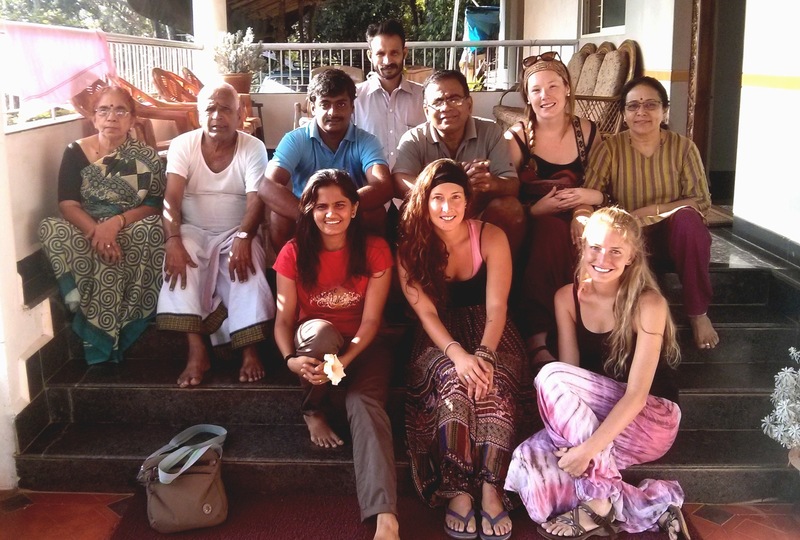 We hope see you in Hampi soon.